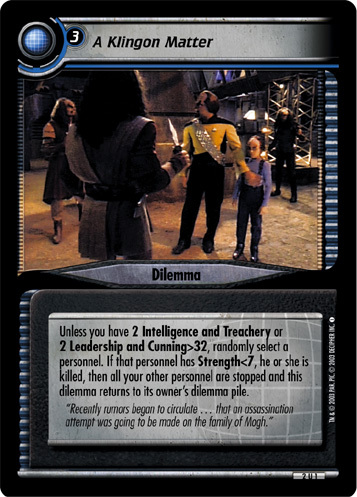 Unless you have 2 Intelligence and Treachery or 2 Leadership and Cunning>32, randomly select a personnel. 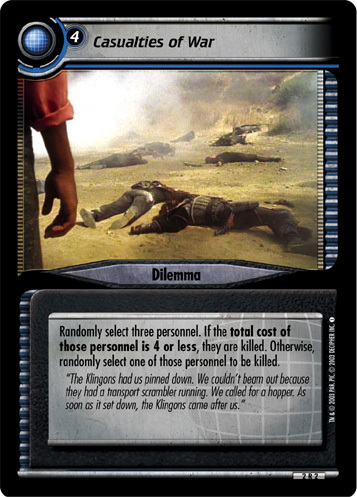 If that personnel has Strength<7, he or she is killed, then all your other personnel are stopped and this dilemma returns to its owner's dilemma pile. "Recently rumors began to circulate … that an assassination attempt was going to be made on the family of Mogh."